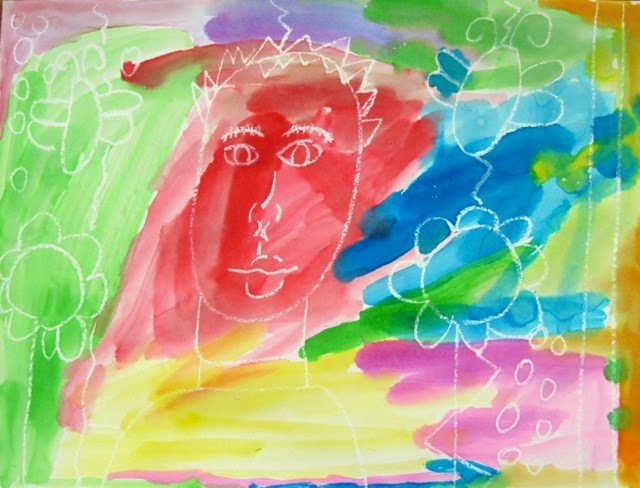 With the idea that I would have students do some "mystery paintings" of faces.... white crayon on white paper with watercolor resist overlay.... I started out by having them compare two works, one by Pablo Picasso and one by Paul Klee. I chose these two works because I intended to have them do a contour drawing of a face and then use color blocks of watercolor over the drawings, and these two works are perfect examples. We started with my standard question: "What do you notice?" I charted the students' responses, encouraging them to identify whether their "noticing" was of the Picasso, the Klee, or whether it applied to both of the works. I asked students to use the artists' names rather than saying "the one on the left" or pointing and saying "that one" or "the round one" or "the pencil one." Those attributes that applied to both were charted down the center. Since these particular second graders are familiar with Venn Diagrams, they understood right away how to read this finished chart after I added the "boxes" around the lists. I started with a short demonstration of the "mystery painting" technique, drawing a large face with lots of lines for hair and showing students how I could almost see the drawing if I held the paper up to the light. I added a line pattern in the background for interest, and then modeled painting in blocks of color. I emphasized that I was not following the lines, but letting the drawing come through on its own as I painted. Then I switched gears and decided to invite them to draw anything they wanted with white crayon on white paper. Together we brainstormed subject matter: animals, flowers, landscapes, and... of course.... faces. 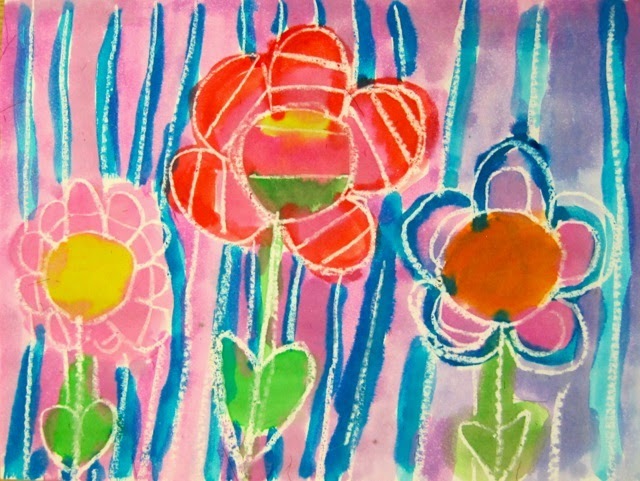 As they drew, I reminded students to press hard with the crayon and try to use the whole paper, either adding more to their subject matter or perhaps including a pattern in the background for interest. As they were ready, they painted over their drawings. These were just plain fun to do. 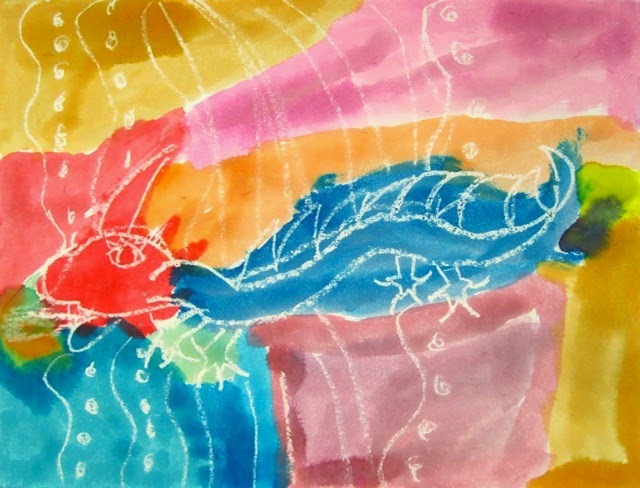 Watercolor resist is a popular art-making activity and really does not need a lot of prep or explanation, but the introduction with these two art works gives an added art-appreciation and art analysis dimension to the lesson. Looking at these two art works helps the students see how a face can take up a whole page, and to realize that one doesn't need to "follow lines" when painting. It also gives students the opportunity to see and talk about representational abstract art, and to become comfortable with the idea that a face drawing does not need to be absolutely realistic to be successful. This art-making session ended with students writing about their art work. I gave them the choice of simply telling about their own process, describing how to create a "mystery painting," writing about the difference between Picasso's and Klee's faces, or comparing their own art work to either Picasso's or Klee's. 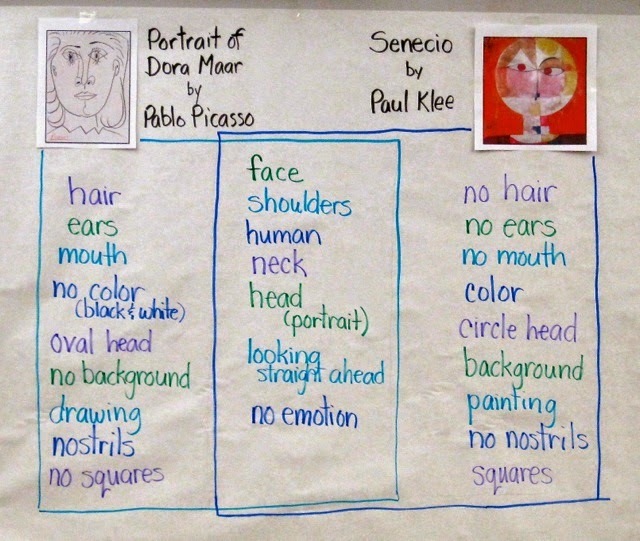 Most students chose to just write about their own process, but two students did write comparisons... one compared his art work to Paul Klee's, and one compared the Picasso and Klee faces. All in all, a successful lesson, during which a good time was had by all! 2. Nominate 5 blogs with fewer than 200 followers. 3. Answer the questions posted for you by the nominator. 6. Contact your nominees and let them know that you nominated them. 1. What is your favorite grade/subject to teach and why? Renee, I just found your blog today through the TPT forums, and your posts have really inspired me to do more art with my kinder children. Maybe next year I could do an artist with every letter of the alphabet. Great ideas! Thank you so much for these kind words. I am glad I have inspired you. An artist for every letter of the alphabet sounds like an awesome idea! I might have to think along those terms myself! 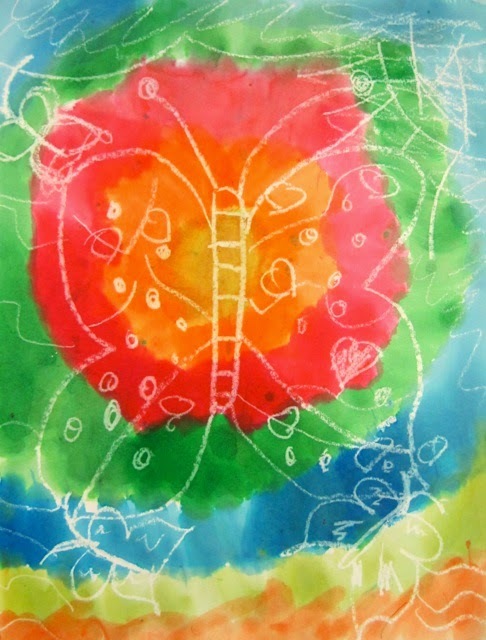 Enjoy making art with your students, and don't hesitate to ask if you have any questions or need an idea! Thanks again!